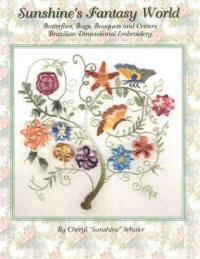 Title: Brazilian Embroidery Sampler Blocks - a great way to learn dimensional embroidery! Combine the squares to make a fabulous quilt sampler. 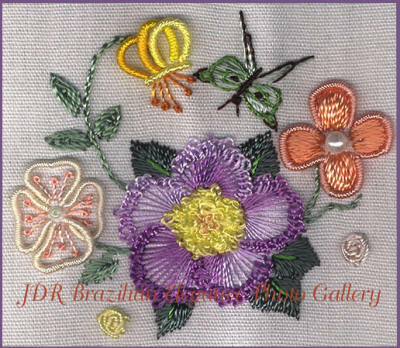 Each of the designs have enough white space (fabric) around them so that you can frame them or make small pillows. 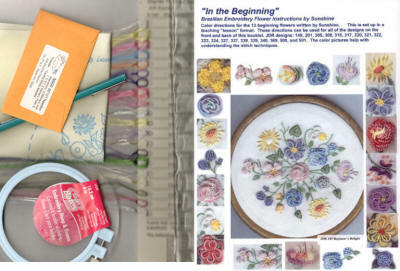 These can also be mixed with the JDR Learning kits for more blocks for your quilt. Alternative Flower- Rolled Rose: Iris.